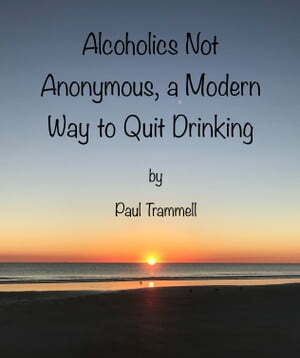 Collins Booksellers - Alcoholics Not Anonymous, a Modern Way to Quit Drinking by Paul Trammell, 1230002139913. Buy this book online. Do you need to quit drinking now? This book will guide you through a modern and successful method that will get you sober, happy, and healthy. This is a short and concise book without filler. It is an accurate description of a method to permanently quit drinking alcohol or using other addictive drugs. Alcohol is a very addictive and destructive drug, yet it is commonly accepted and legal. A huge percentage of people are addicted to alcohol, so there is no longer any need to stay anonymous about having a drinking problem. By being not-anonymous, your chances of success are greatly improved. In this book, I outline a method to step away and stay away from drinking. Get sober, you’ll be amazed at what happens! In the beginning it will be very hard, but it gets easy after a while, and the longer you stay sober, the easier it gets to stay sober, because you will love being sober. Everything in the life of an alcoholic improves when he or she quits drinking. There is nothing to fear, and much to gain. Becoming sober and learning to live a sober life is like recovering from a long illness, like being healthy and happy after years of sickness and depression. It’s like emerging from a mud-hole in which you’ve been mired for years, a mud-hole in which you thought would be fun to play, but instead turned into a devastating trap. The time is now to give sobriety a try. Read this book and follow the recommendations outlined within. A new and improved life awaits! Stop procrastinating and do it now! You've been sick and addicted for too long, you're old life is hereby over; step now into your new life, the cost of the book is about the cost of the first drink you won't buy. The money saved from the thousands of other drinks you won't buy is yours to keep and do with as you please. I recommend a vacation! Stop reading this description and buy he book. If you read it and follow the steps, then it will be the best investment you ever made!